While the rest of the film world was gushing about the Academy Award nominees this morning, another, arguably bigger announcement was dropped. 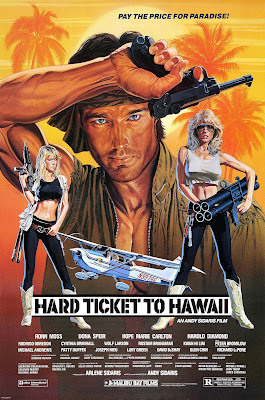 One of the most ridiculous films of all time, Andy Sidaris’ sleazy, bonkers and frequently wacky cult classic Hard Ticket to Hawaii, is finally coming to blu-ray from none other than AGFA. Best known for having released the so-bad-it’s-good Turkish actioner The Sword and the Claw as well as two lost films of Ed D. Wood, Jr. and world’s first sexploitation parody Bat P***y, Hard Ticket to Hawaii represents arguably their biggest title yet! 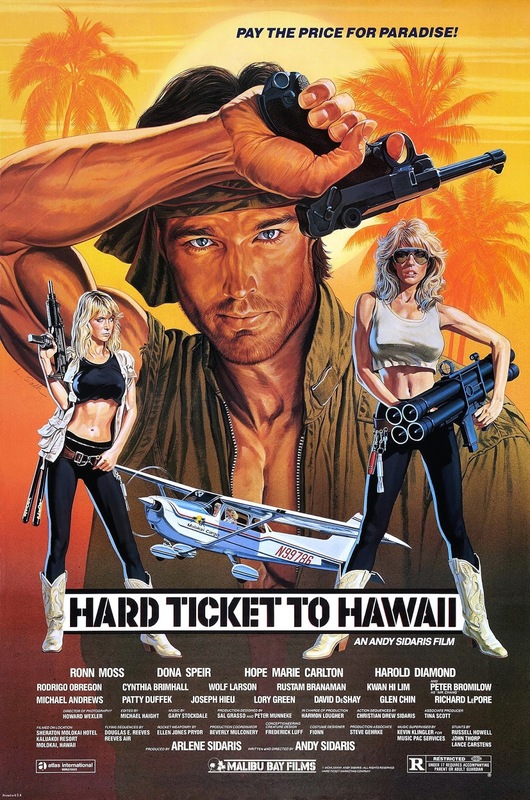 Slated for 4K restoration, Hard Ticket to Hawaii is due on shelves sometime in Spring 2019, so stay tuned for further announcements on extras/release dates!